here's something you don't know about me - i am a jane austen fanatic. i've read all of her books a minimum of three times each. pride and prejudice i have read too many times to count. i once read it two times in a row. like i finished the last page and flipped right back to the first. it's actually difficult to read now because i almost know it by heart. anyway, while i am very happy that i was born in the 20th century, i've always been a little bit envious of the education that ladies (of a certain class) received in jane austen's time - singing, dancing, playing an instrument, literature, poetry, french, german, sketching, painting, embroidery, etc. that all sounds like fun to me. i seriously wish i could major in "jane auten era ladyhood." doesn't my schedule rock?? i'll be dancing four days a week and playing tennis two days a week! i'll be exhausted, but i can't wait. it looks like i'll be getting a taste of what it would feel like to be educated as a lady after all...a modern lady. That does sound FUN! I'm stuck in books, books, and more books. Of the financial nature. I have a love/hate relationship with it. But I've been wanting to take ballroom dancing for SUCH a LONG time. I think it would be such a blast. And I totally agree, it would be fun to get that sort of education and even live that life.. well as long as your family had lots of money... other wise life was really hard and pretty much sucked for everyone else. Faboosh! I'm quite envious actually. I can't wait to hear all about it! I loved taking Art History, and those classes are some of the only ones I remember today. And I know exactly what you mean about a lady's education - I wish I'd gotten one too! Woohoo art history majors! Welcome to the club! 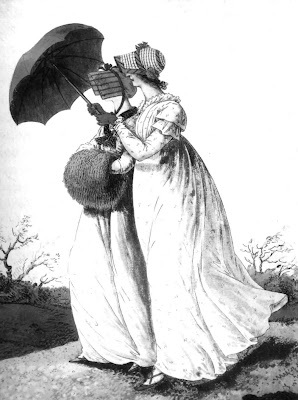 I am also obsessed with the wonderful world of Ms Austen. I am more envious of the gowns and the balls. I adore Pride and Prejudice! I've always wanted to dress like the girls in that age but I guess that's what Halloween is for haha. The movie is pretty good too. I took ballet and it was the best class I have ever taken in college. And I ADORE Jane Austen too. Jasmine darling, you have a fabulous schedule, dahling ::snicker:: how is my lady-like talk...does it pass? Ha! I love your it! I wanted to go back for art history. maybe I will one day. I think its excellent that you are continuing your dancing. And French is such a romantic language. You should really have levi learn it as well so that you can speak at home. Sounds like an amazing schedule! I adore Jane Austen novels, too! Wow! You really are becoming Jane Austen. Have you seen "What Would Jane Austen Do?" I stumbled across it in the bookstore theo ther day and just remembered the title. Check it out. Oh, and what about Pride and Prejudice and Zombies? That sounds like the perfect schedule! I'm jealous... school can be so much fun. Enjoy it for me! I have the same problem...I've been in school entirely too long due to budget cuts and class shortages. Good luck this semester, it sounds like you have lots of fun and interesting classes! Oh, and I agree with Viewtiful_Justin: You must read Pride and Prejudice and Zombies! You MUST watch Lost in Austen. It's an ITV miniseries (ITV is a channel in the UK). In the US, you can find it on Surf the Channel or Amazon or if you have Ovation as a part of your cable package, you could try to catch it on TV. That should hold you over until Pride and Prejudice and Zombies the movie comes out in 2011. Here is a birthday idea you might like: One of MY favorite people (Peace Pilgrim, RIP)said: "Don't celebrate birthdays, celebrate "Better Days" when you have gotten better--and only YOU know WHEN to celebrate". Cat, I've actually already seen Lost in Austen! I found it on netflix, and as soon as it was released they sent it to me! Thank you for the recommendation though. I'm not so sure about the zombie thing...I'm a little scared of zombies and everything horror movie related. I can't even watch shaun of the dead. I'm a big sissy. Hey Jasmine! Thanks for your lovely comment in our blog! I'm going to have to pick up one of them books and discover the magic that is Austen literature. i have always wanted to take a french class... le sigh. have you read henry james, portrait of a lady? it's a classic. he's no austen... but who is really? I've always wanted to learn french too! That's why I'm so excited. My new major requires me to be proficient in french or german, so I figured this was the perfect opportunity! Better at 27 than never! And yes, I have read portrait of a lady. I've read a lot of classics actually. It used to be all I would read, and then I discovered the shopaholic series and mary higgins clark. Haha! I still read the classics, but sometimes it's just so fun to read something for pure entertainment. I'm very proud of you for continuing a lengthy education. A lot of people would have given up already - it definitely takes patience and determination to keep it up! Also, I can't wait to see how your next semester goes! I'm very jealous that you're taking panting and tennis... I wish we had a tennis class! I'm taking a Shakespeare class, a class on Byron, Keats, Shelley, etc. (the Romantics) and a modern lit class (I added lit as a second major last semester), so it looks like we're BOTH going to be really busy! Also, I might be emailing you soon about something I would like to talk about with you. I admire your relationship with Levi and I need some advice! That is a great schedule. Tennis twice a week? French... oui oui ... Amazing! Sounds like lots of fun. I'm also back in school this fall ... IN LA!! can't wait! I love jane austen too. and Mr Darcy ;) Oh.. ballet and french sounds too awesome! 1. you got really popular since i've been gone. holy cow. 2. we are soulmates. i love jane austen. a bad day= jane austen movies. 3. you should watch "becoming jane" about her. 4. jealous of your learning!! 5. back home now so your little "gift" is soon to be in the mail to your NEW PLACE! yay! i've got a dance line up next fall too! Nice! You'll definitely be in shape too. How exciting. I haven't read the book yet but I did just recently buy it and it is the next book I will read, once I finish reading Wicked. wow, what a fun schedule!